Please note that the Salt Lake County Archives will be closed for a staff training from Tuesday, October 2, through Friday, October 5. We apologize for the inconvenience. Please continue to leave research requests via voicemail or email and we will get to them as soon as possible the following week. Thank you for your patience. Business Affidavit for Arctic Circle, 1950. 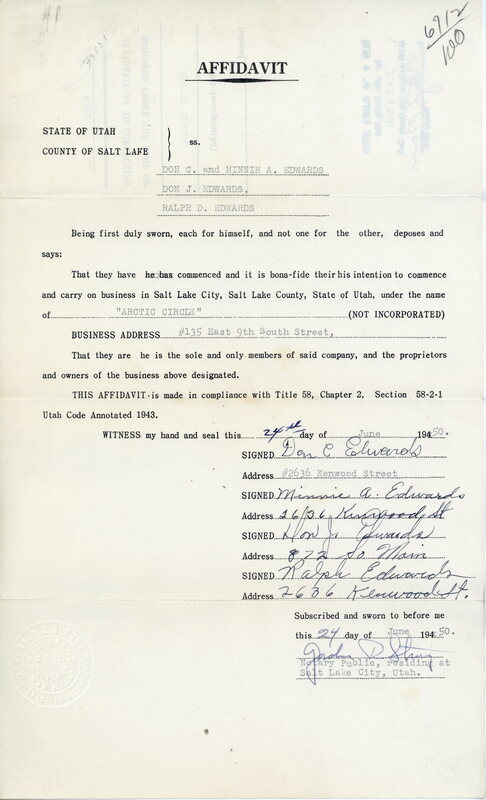 Salt Lake County Clerk, Business Affidavits, 1919-1962, series CL-034. Original records at Salt Lake County Archives. Thank you to everyone that has commented or called about the Arctic Circle blog entry posted on August 9! Arctic Circle ice cream stand, 135 East 900 South. Image taken in 1950. 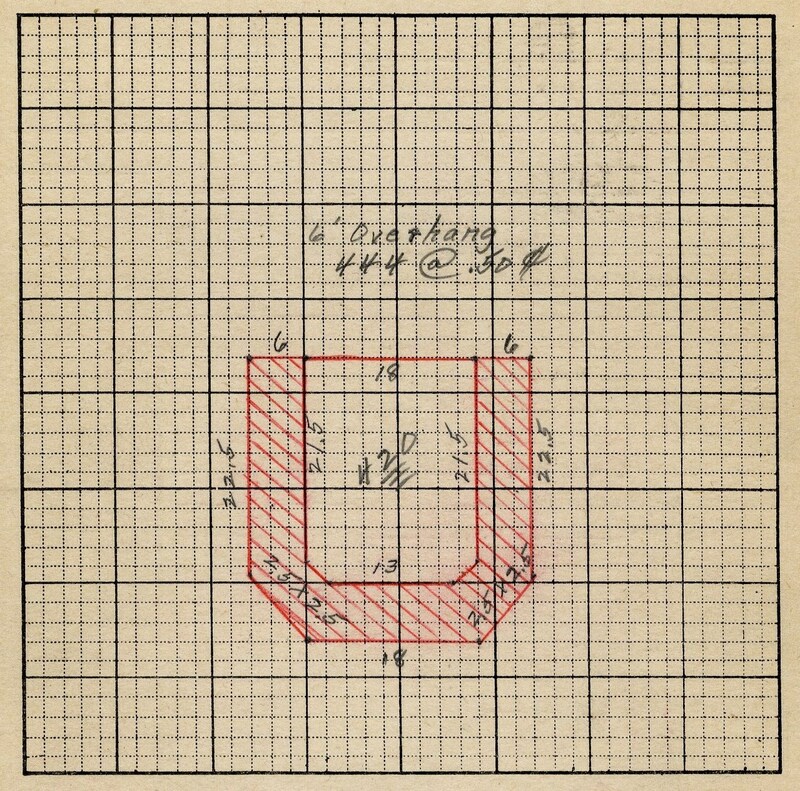 Salt Lake County Tax Appraisal Photographs, serial 1-92. 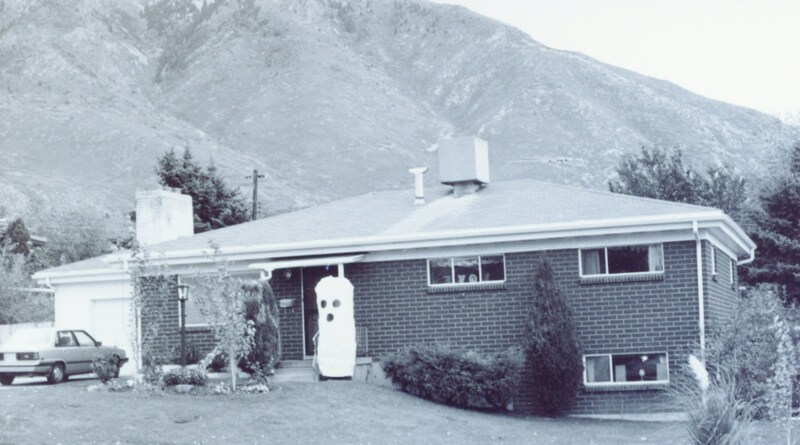 This Arctic Circle was built in 1950 at 135 East 900 South in Salt Lake City. 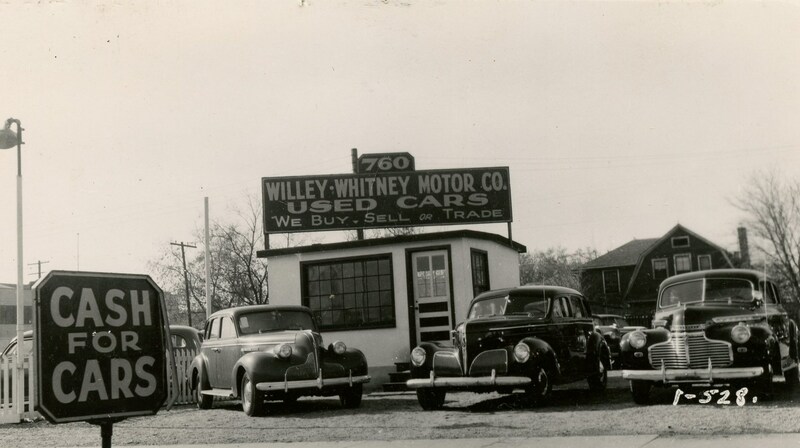 It started out as a 420 square foot building, and on an early tax appraisal card was taxed for its plate glass windows, air conditioning, and neon tubing signs. 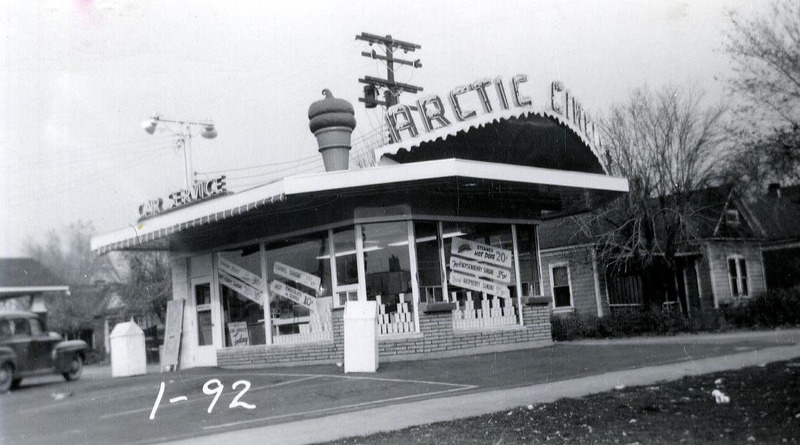 According to the Arctic Circle restaurant’s website, this was the first of founder Don Carlos Edwards’ restaurants that he called the Arctic Circle. There are now Arctic Circles across 7 western states. By 1953, the building had almost tripled in size and had neon tubing, 4 neon signs, and menu signs with lights. Coolest of all, the restaurant had a “car hop control room” on the roof. 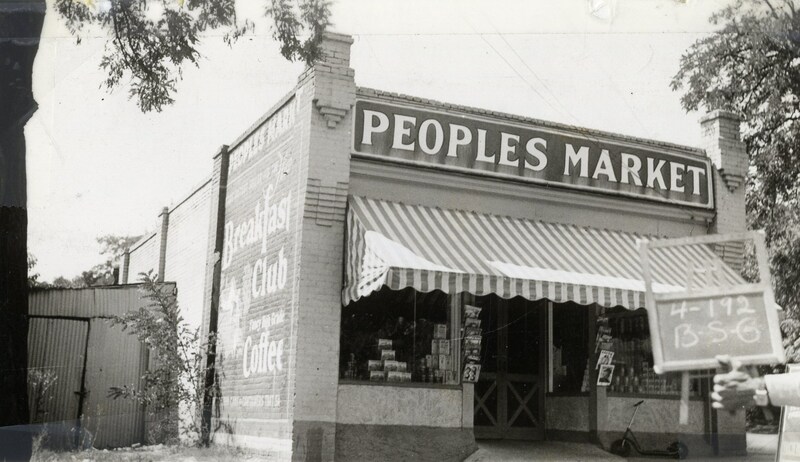 It can be seen on the left in this photograph taken in 1953. Arctic Circle in 1953. 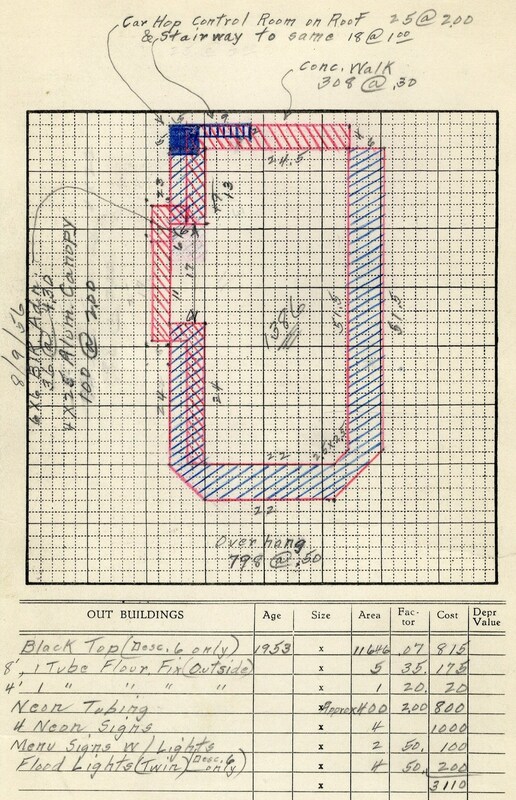 Salt Lake County Tax Appraisal Photographs, serial 1-92. 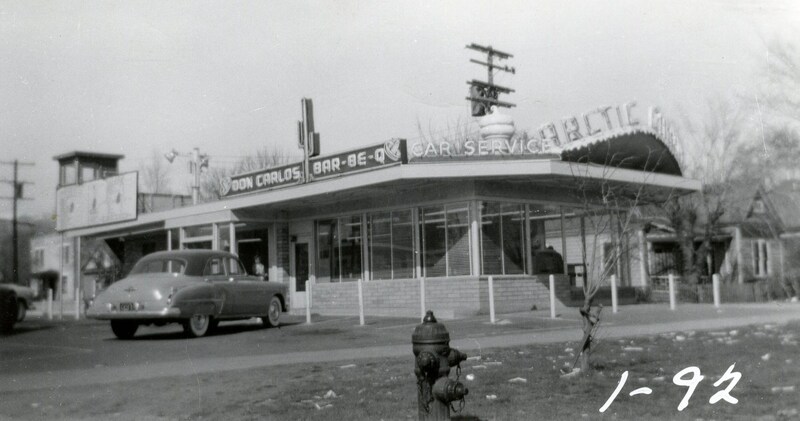 “Don Carlos Bar-Be-Q” refers to Arctic Circle’s founder, Don Carlos Edwards. In 1959, another addition was built on to the existing structure. This Arctic Circle restaurant was still flipping burgers and making fry sauce at this location up until at least 2016 (if anyone knows exactly when it closed, please let us know!). Arctic Circle does claim to be the inventor of the famed fry sauce and also the creator of kids meals. Salt Lake County Tax Appraisal Cards and Photographs. Serial 1-92. Salt Lake County Archives. Arctic Circle History: acburger.com/company/history.html. Accessed 08-08-2018. If you follow us on Instagram you’ve likely noticed pictures of our official mascot, Rusty. Working in the office. Where’s my coffee? 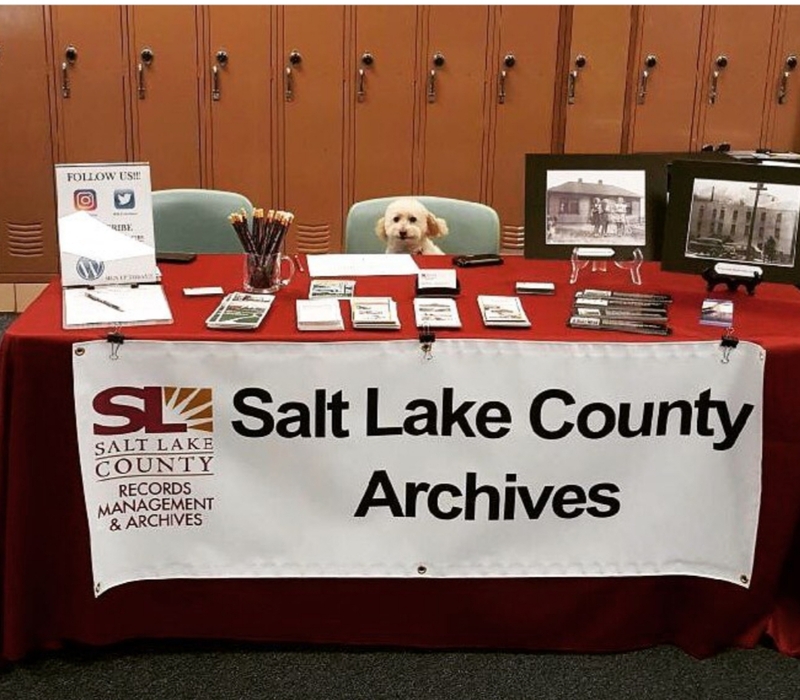 Rusty works hard here at Salt Lake County Archives; mostly he does it in hopes that he’ll be rewarded with treats. Ready for the next webinar. Rusty is a therapy dog (licensed with Therapy Dogs International). This means he is highly skilled at getting petted. 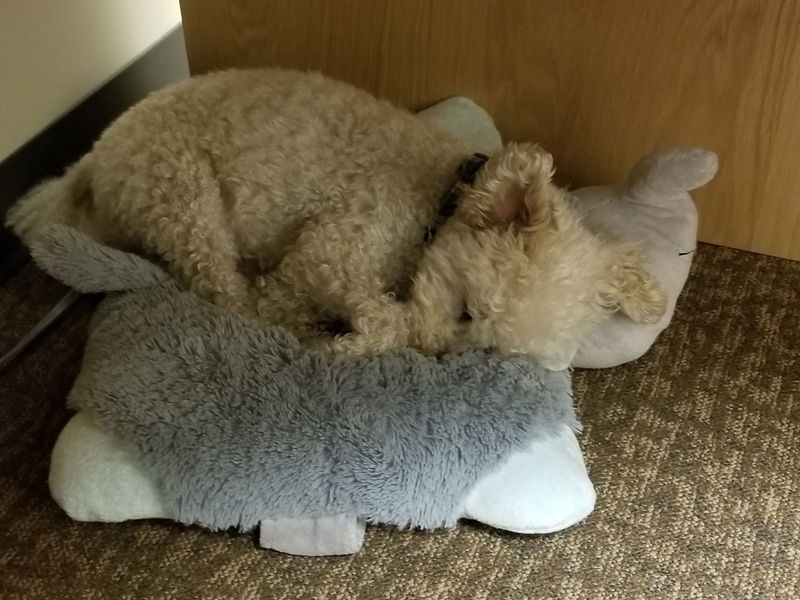 He has attended conferences and sits in on meetings, but mostly he provides moral support. 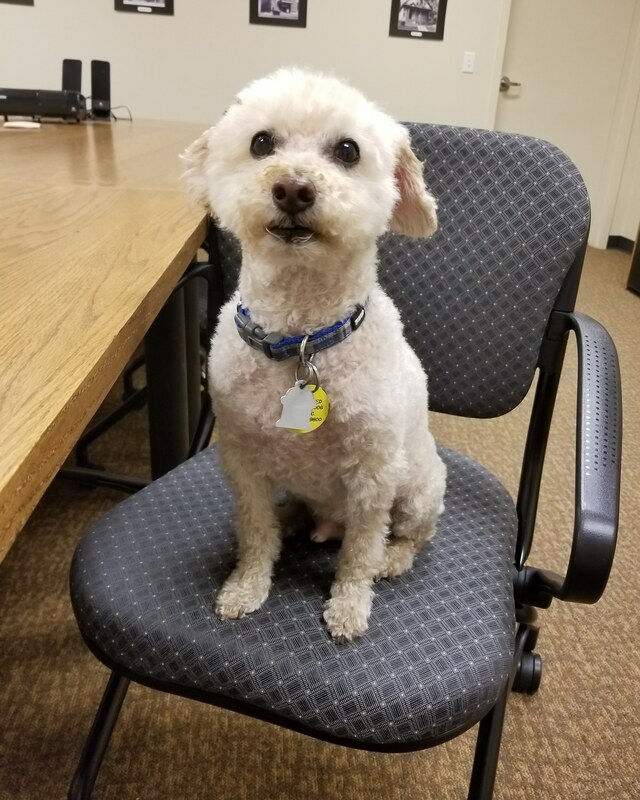 Rusty is of Poodle and Yorkie descent. Because he was adopted not much more is known about his genealogy, but he does enjoy helping others find their roots at family history conferences. After a long morning’s work. 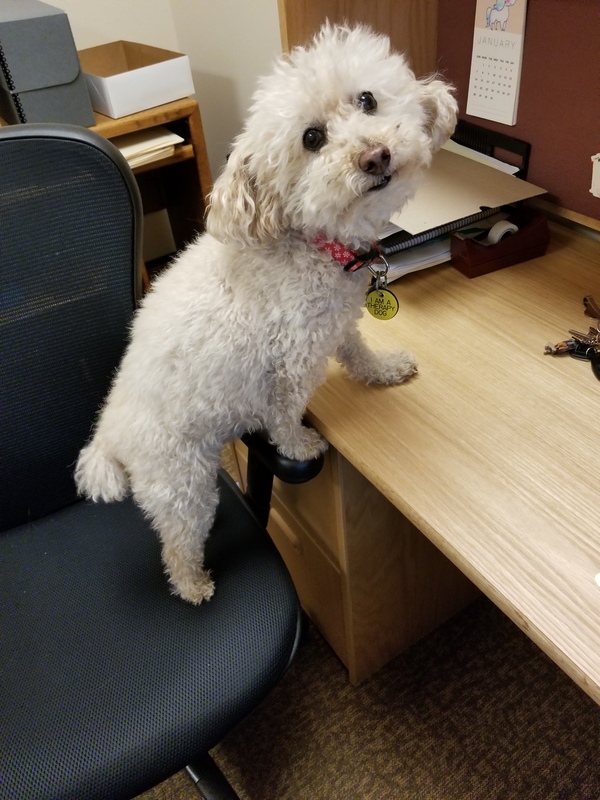 One of our archivists, Michaele, rescued Rusty 10 years ago. Shortly after that they moved to Virginia to attend the College of William and Mary, returning to Utah and to the Salt Lake County Archives in 2016. He is a well-traveled dog, having driven cross country twice (well, rode along). He has also flown to archives all over the country, including the National Archives in Seattle, Kansas City, St. Louis, and Maryland, as well as several smaller archives in Pennsylvania and Washington State. 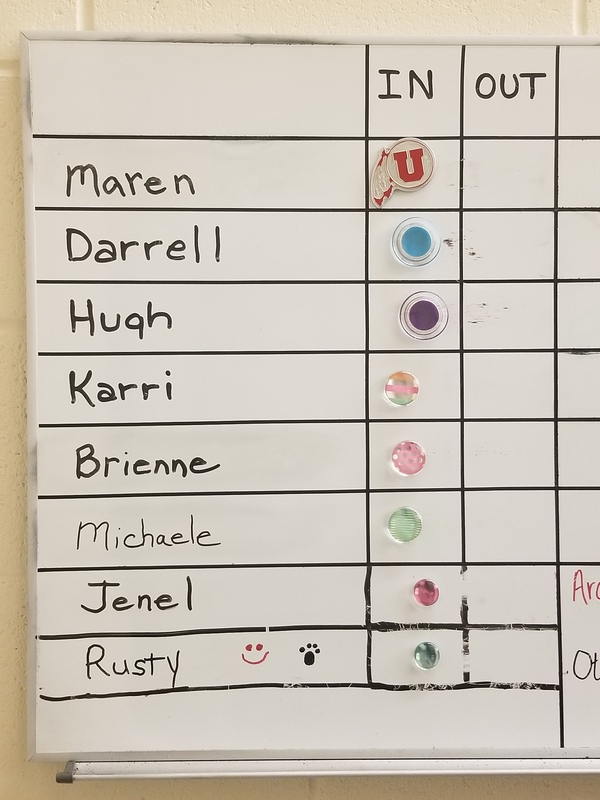 Trying to keep track of staff in a huge records center is tricky. This In/Out board helps. *no animals or records were hurt in the creation of this blog post.